A new general joins the Carthaginian forces! 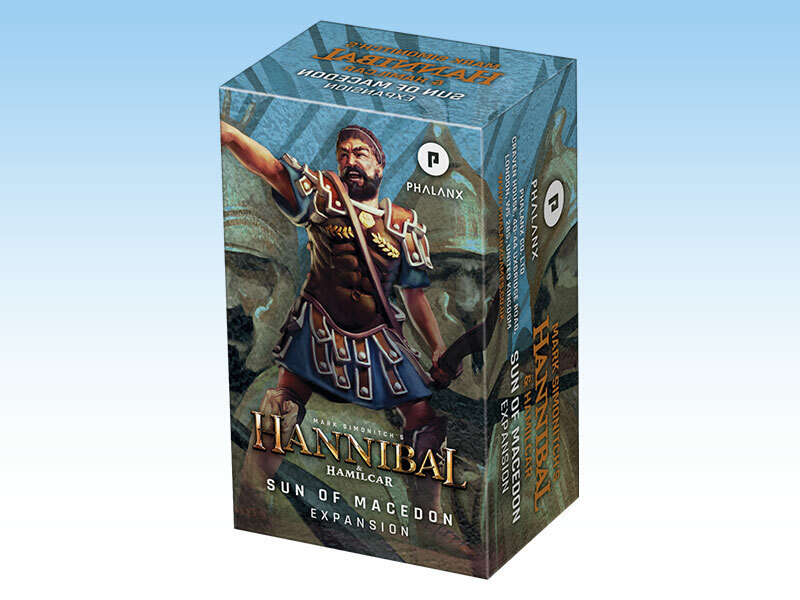 Sun of Macedon is an expansion to Mark Simonitch’s Hannibal & Hamilcar: Rome vs. Carthage. 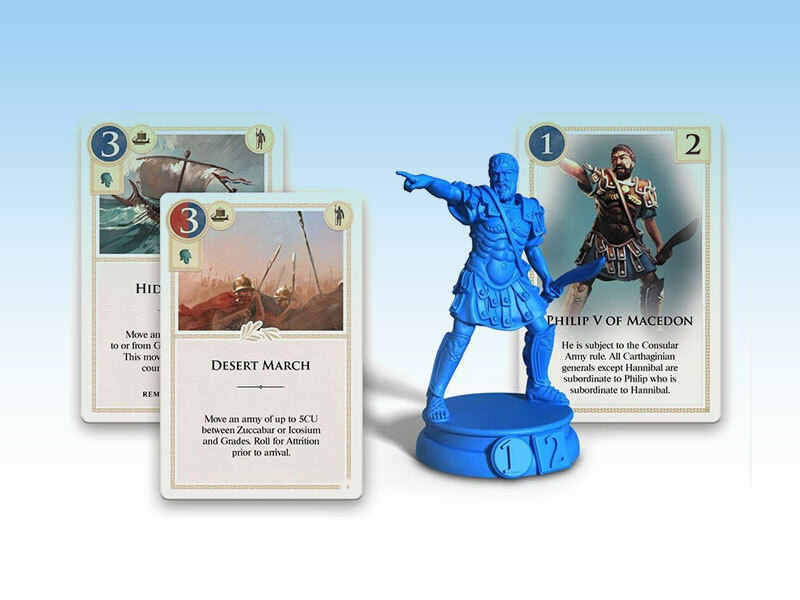 It contains Philip V of Macedon — new Carthage leader miniature & leader’s card for Hannibal (based on the Roberto Ullfig’s Philip V scenario), plus new strategy cards: Desert March and Hidden Cove . Macedonia joined the Second Punic War as an ally of Carthage. Philip V of Macedon built a fleet of 200 lemboi ships, and was ready to sail to Italy, following in the footsteps of Pyrrhus. This didn’t happen, as Rome reacted quickly with a sea blockade and inciting war in Greece, binding Filip’s hands. But this provided an opportunity for serious reinforcements for Hannibal in Italy. We had to have this as a variant! Sun of Macedon brings you a new general for the Carthaginian player and two new strategy cards, which focus on stealth movement. You need a copy of the base game Hannibal & Hamilcar Rome vs. Carthage to use this expansion..